All I remember of Tufail farooqi is having seen him once on Radio Pakistan premises, long time ago. I contacted his brother Akram Farooqi who referred me to his son Imran Farooqi for information on his father’s works and personality. Surfing on the net brought me to some information on Tufail Farooqi’s Punjabi film ‘Choorian’ directed by Amin Malik, produced by M. Naseem and dialogues by none else than Baba Alam Siaposh (not Syed Noor’s film that was produced much later with the same title). The movie I am referring to was released on May 17, 1963. Nurjehan, who had entered the playback scene in those days after bidding farewell to her acting career, rendered two songs ‘Dinghi Pagh Bannhda Ae Munda Numberdar Da’ and ’Wey Gall Sunn Haania, Wey Dil Diya Jaania’. Laila and Akmal acted as romantic pair with vamp Nasira. It has been reported that the sensor board allowed this film as ‘for adults only’ as Nasira revealed more than what she should have. However, as per current standards, it was nothing obscene. The best contribution of Tufail Farooqi, however, is his composition of Iqbal’s poem ‘Lab Pei Aati Hei Dua Bun Kei Tamana Meri/Zindigi Shama Ki Soorat Ho Khudaya Meri’ crooned by Munawar Sultana and children. For many years it used to air in the evenings before the story time by Iffat from Radio Pakistan, Lahore. I was too happy to come to know that this tune was composed by Tufail Farooqi. Before I proceed with Tufail Farooqi’s films, songs and style of music compositions, I shall explain his family background— ‘the Rubabi clan’. same meditative bent of mind and facilitated each other’s work. Nanak’s mystic thoughts and Mardana’s lilting melodies made an ideal combination, creating congenial ethos and facilitated the communication of the new reformist movement. A biographer claims that the Guru gave Mardana a wooden musical instrument, which he used as an accompanying device, when the Guru composed and sang his shabds. Regrettably not much information, apart from a few myths and fables, is available about the life and musical talent of Mardana, who spent all his life composing melodies for Nanak’s verses and playing the Rubab (a wooden string instrument) in the venerated company of Guru Nanak. Born in a poor family, but in a congenial environment in 1459, Mardana (now known as Bhai Mardana among the Sikhs) showed much passion for music at an early age. His creative spark was spawned by the sufferings in his childhood and the sense of deprivation resulting from the low social status of his parents. Guru Nanak and Bhai Mardana spent a long part of their lives together (some 55 years) in meditation and travelling, including 31 years, which were consumed in visiting different countries in the Middle East, Asia Minor and the Far East. So enduring was their friendship and such strong bonds existed between them that Bhai Mardana’s three ashlokas were allowed to be included in the Guru Granth Saheb, the holy book of the Sikhs, by the founder of Sikh faith. The other Muslim Sufi, whose verses have also been included in the holy book, was Baba Farid. Musician Mardana was also given the title of a Bhai by the Guru himself. Mardana was thus the first non-Sikh to receive such honour and status in the social and religious hierarchy of the Sikhs. All the Ashlokas or Gurbanis in Guru Granth Saheb are believed to have been set to music by Bhai Mardana in 31 raags, which were selected jointly by the Guru and Bhai Mardana keeping in view the tone, tenor and import of the message of each Ashloka or Gurbani. The popularity of the Gurbanis, in addition to their spiritual content, is the result of the musical raiment provided to them by Bhai Mardana”. Till his death, famous music composer Mian Sheheryar composed many a pieces of poetry of Baba Guru Nanak in the raags set by the Guru himself but the ambitious project could not be completed because of Mian Saheb’s ill health. Just at the beginning of the twentieth centurywhen great singers were getting fame, the musicians from the theater and gramophone companies were also excelling. Most of them were proficient in classical genre of music and preferred to be labeled as ‘Bhai’ rather than ‘Khan Saheb’ unlike today. Music composers late Amjad Bobby and his brother Moin Bobby belong to the same category. The Rubabi Clan also includes singers like Munir Husain (Rasheed Attre’s nephew) and Saeen Akhter Husain. Among classical vocalists hailing from this clan were Bhai Roora, Bhai Boora, Bhai Mehar, Ustad Bhai Lal Muhammad and his son late Ustad Ghulam Hasan Shaggan. His son Mazhar Shaggan plays Rubab/Sarod and Qadir Shaggan is a melody maker. Music composer Tufail Farooqi is son of Bhai Meher. Singer Pukhraj Pappo was Tufail Forooqi’s wife. Pukhraj was a playback singer who dominated the Pakistani film scene from early to mid-1950s. Like Kausar Parveen, Pukhraj’s voice was weak and lacking in thrust. I feel that both singers sang in artificial voices, a defect removed in Kausar Parveento some extent when she started singing her husband Akhtar Hussain Akhian’s compositions. However, Pappo’s voice was skillfully utilised by great music directors of that era including Master Ghulam Haider, Master Inayat Hussain, Baba G. A. Chishti, Feroze Nizami and alike. Luckily, Pappu got to sing poetry of outstanding poets like Musheer Kazmi, Ahmad Rahi, Tanveer Naqvi, Saghar Siddiqui, Qateel Shifai, Tanveer Naqvi and Said uddin Saif. Born in Lahore in 1916, Tufail studied in Rang Mahal Mission High School. At the time of his death on March 25, 1988 he was 72 years. Tufail was a broadcaster, composer classical singer at Radio (1940-45) at the same time but his career as music composer in films (1945 onwards) overshadowed his other facets of life. He started being more known as music composer. Tufail Farooqi’s active years in music industry were 38. Before the creation of Pakistan, he was invited by Master Ghulam Haider to compose music for an under production film ‘Begum’ in 1945. He went to Bombay but due to differences with the production house, he could not continue on the project. He was broke but New Bombay Theaters’ film ‘Sona Chandi’ (1946) and Wali Saheb’s ‘Daikho G’ (1947) came to Tufail’s rescue. He composed five songs for the latter film. The rest of the songs were composed by Sabir Hussain. A duet ‘Jhumka Gira Re Bareli Kei Bazaar Main’ by G. M. Durrani and Shamshad Begum for the film ‘Daikho G’ became very widely known among music lovers. The same song with some changes appeared in the music of Madan Mohan for the film ‘Mera Saya’ filmed on Sadhna. After these two films there was a lull in Tufail Farooqi’s career. In Pakistan, Tufail remained affiliated with Radio Pakistan as music composer till 1953. One of Tufail Farooqi’s films was ‘Wehshi’ released in 1956. The noticeable point of this movie was that it starred Rehana (her debut film in Pakistan) who had migrated from Mumbai to Lahore. The film was produced by S. D. Asif and directed by Munawar H. Qasim. Tufail Farooqi composed the songs ‘Ja Tujhe Muaaf Kiya Ja Re Ja’, sung by Zubaida Khanum and the other two songs ‘Maan Bhi Jao Jaane Bhi Do’ and ‘Phoolon Ko Laaj Kali Badal Ki Chore Gali’ were sung by Munawar Sultana. In Pakistan, Tufail Farooqi’s first film venture was ‘Barkha’. In 1956 he gave music for Murtaza Gillani’s film ‘Nazrana’. In 1959 his film ‘Bodi Shah’ and in 1960 his film ‘Behroopia’ were released. Both films flopped at box office but the former film’s song ‘Channa Teri Yaad Vich Aunsian Paawaan Akh Vi Na Lawaan’ became popular in the voice of Iqbal Bano. Tufail Farooqi composed songs for masses and had his poets write lyrics close to our culture. In this regard his songs for the movie ‘Muftbar’ like ‘Chak Jhumra Tei Mian Chunnoo Chur Rait’ and ‘Gadi Aai Gaddi Aai Narowal Di’ can be quoted. During these years, Tufail also gave music in Urdu movies. 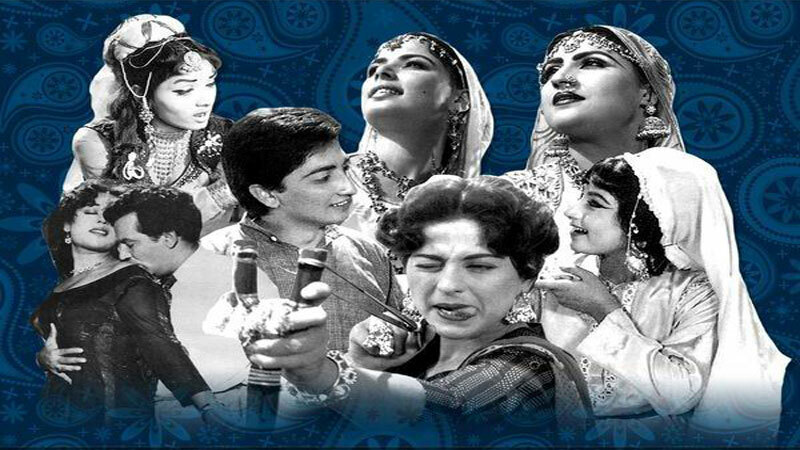 In 1958 Tufail recorded nine songs for the film ‘Mazloom’ notably among these being the song ‘Mil Gai Akhian Dharak Gaya Dil’ by Iqbal Bano and penned by Musheer Kazmi. Poet Munir Niazi entered the scene with Tufail Farooqi and wrote lyrics for his films ‘Lagan’ and ‘Oonche Mahal’ in 1962. 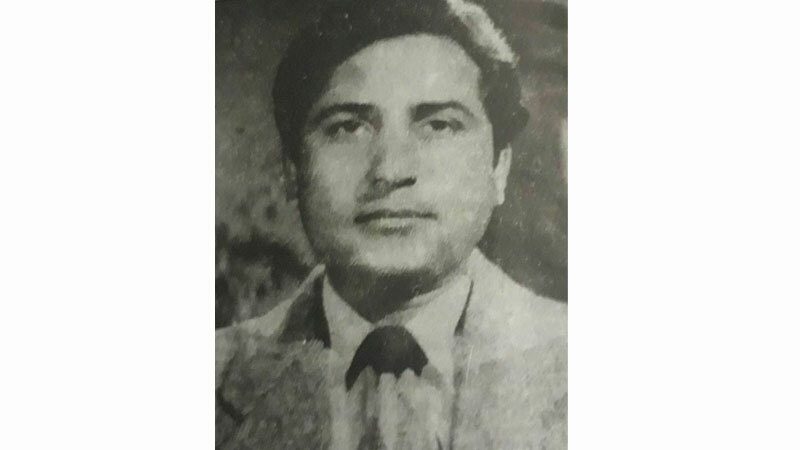 Poet Musheer Kazmi wrote songs for 1963 film ‘Main Nei Kaya Jurm Kiya’. In 1968, Master Abdullah’s film ‘Badla’ was released. Earlier during recording, Master picked up fight with a musician and the incidence ended in a murder. Master went behind bars. Since he was there for a long time, he sent a message to the producers to have four songs recorded by Tufail Farooqi. Among the songs thus recorded, one by Masood Rana (Jehre Torde Dil Barbaad Haun Gei) and two by Madam Nurjehan (Chitti Ghori Tei Kaathi Tilledaar Ni Saiyyo’ and ‘Kamla Ni Kamla’) became popular. Among the disciples of Ustad Abdul Waheed Khan was a pretty singer, Heera Bai Lahore Waali. She changed her name as Waheeda Khanum because of her association with her Ustad. She performed for Rawalpindi Radio with this name for some time. She was the younger sister of singer Zeenat Begum Lahore Waali. As per writer Saleem us Rehaman, Akram Farooqi disclosed that his brother Tufail had an affair with Waheeda Khanum. Once, both paid a visit to Bombay. Tufail had gone to the studios when a young man walked into Waheeda’s room. Both had known each other from Rawalpindi. When Tufail returned, he threw that young man out of the room in anger. Much later, Waheeda disclosed to Akram that the young man was none else than Madan Mohan who became a famous music composer with time to come. Tufail’s family arranged his marriage in 1951. The day he was to be married, he gave a box containing some papers in his mother’s custody. Later, it was found that these papers were his Nikah with Pujhraj Pappo— he had already married. Since both wives did not stay together, differences arose between Tufail and Pukhraj, ending in divorce. Published in Daily Times, April 14th 2018.